You can’t say that!! It’s not politically correct. 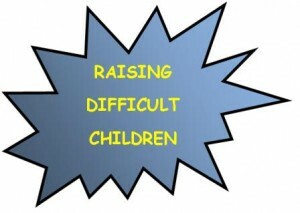 Children are not difficult, they’re just…………JUST WHAT? While the book Raising Difficult Children was being typed the voice-activated program took the phrase Attention Deficit Hyperactivity Disorder and typed on the screen high productivity. Perhaps the computer has its own wisdom! Many of our difficult children are just bursting with ideas and energy, waiting to be used productively in society. Please request permission from the Pastoral Counselling Institute to use this article. Some people can find the concept of ‘DIFFICULT CHILDREN’ politically incorrect and assume that the term means that the child is being seen as someone who can easily change their behavior if shown how. The concept of an emotional and temperamental child who is conflicted within themselves is often overlooked. To accurately understand the word ‘difficult’ we must search the dictionary. For many years in our work with children and their families, we noted that children experiencing difficulty with learning, behaviour and social skills, exhibited particular temperamental characteristics that made it almost impossible to cope with their environment. We noted that if the school and families intervened with positive, affirming mentoring when the child was struggling to achieve educational and behavioural goals, positive results were obtained; however, when difficult behaviour was responded to with the same kinds of interventions when the child had more self-control, the behaviours became worse. This came as no surprise as it is an example of simple stimulus-response theory, where the child is rewarded by the attention given and then repeats the behaviour. This led to the development of the concept of Difficult Temperament. We encouraged parents and teachers to observe children in a variety of contexts to determine when children had difficulty controlling behaviours and when they coped better. Following this, parents and teachers were taught to intervene with positive and affirming mentoring when children were struggling. If it was determined that the child could actually control their behaviour, parents and teachers were encouraged to impose immediate punishments with a minimum of intervention. By the time the fourth addition was due to be released, a longitudinal study of children conducted by the Australian Institute of Family Studies had been released. This study confirmed what we had noted clinically for many years; that is, the child is born with a particular temperament which does not change over time. If that temperament is particularly difficult, then management strategies become critical. isolate them in the area of social interaction because of their poor social skills. This type of child continually struggles to find a place in society because of the emotions they are attempting to understand. Internally, they are often exerting enormous effort to ‘fit in’, but their ‘born with’ temperament often makes this a challenge they are unable to meet without direct intervention with specific strategies. One can see a glimpse of this in Mardi’s story on Page 37. Mardi explains how she tried very hard to learn but could not always remember. ‘There were many instances such as this and I thought my father would have learned the first time that I just couldn’t remember things’. She also recounts how teachers would suggest that she “Try harder, Mardi’, but what they did not understand was that I had tried my best. This frustration and extra stress at school caused me to come home angry and temperamental”. Because children with particularly difficult temperaments usually produce a range very difficult behaviours that make their lives very stressful, (as well as stressful for those around them), it is not true to say that it is the behaviour that is difficult and not the child. To separate the child from the behaviour is to ignore clinical observations about children, confirmed by the longitudinal study; that is, some children have very difficult temperaments that lead them to be difficult (see particularly the chart on page 79, linking the behaviour to the difficult temperament). It is not surprising; therefore, that many of them develop co-morbid disorders, such as depression, anxiety and obsessive compulsive disorder, that very often continue on into adulthood. A critical developmental disorder relates to the concept of splitting. This occurs when people are unable, very early in their development, to integrate experiences of ambiguity and paradox. Part of the healing that goes on with adults who struggle with difficult temperaments relates to the integration of their behaviour and personality. While the emphasis on separating behaviour from the person may be ‘politically correct’, it can be extremely damaging for the mental health of those who need integration to understand that they have a difficult temperament that requires management, not that they produce behaviours separate from their sense of self. Adults who have struggled for many years with disorders such as, Attention Deficit Hyperactivity Disorder, Dyslexia, Dysnomia, Dyspraxia, Aspergers Syndrome and Tourettes Syndrome, know that as adults they are difficult and have a personality that requires attention. It is not just their behaviour. This group has a high rate of social dysfunction in addition to the ones already mentioned, including marital breakdown, various addictions, workplace accidents and inability to maintain employment. To understand that I am a difficult person, not just someone who exhibits difficult behaviours, reduces stress enormously. When I understand that I have a physiological brain function that is different from those without attention deficit issues, and that behaviour strategies and medication can help, I am encouraged rather than discouraged. If it is only the behaviour that is difficult not me, I am constantly stressed out by the perplexing feeling of, ‘Why can I not be a different person?’ Depression and anxiety in adults with such disorders is reduced significantly when they realise they have a difficult temperament and personality and that by managing it constructively, sometimes with medication, they can lead very productive lives. We have used the word difficult for the past four editions of the book because it is an authentic way to describe the parenting of these children. The meaning of the word from one dictionary is described as: not easily or readily done; requiring much labour, skill, or planning to be performed successfully. Over the past fifteen years, there have been suggestions that the name of the book be changed. However, to date we have not received a suggestion that is acceptable to the parents who participate in the groups. In most of the groups, the question is asked of the parents – ‘What do you think of this title of the book?’ Inevitably the parents report that finally someone has acknowledged their stress and that even when they have done all they can, their children are, ‘not easy and require much labour’. In truth they are difficult to parent. One dictionary uses the phrase ‘difficult child’ as an example to describe, hard to please, satisfy, or manage. Parents find that once their concerns and isolation are acknowledged, they are relieved and don’t feel accused. The few people who have ever raised the question of the title are usually those without difficult children, or without experience in the field. Our usual response is to gently say, ‘If the title is a problem for you, you probably don’t need the program’. parenting is hard work but there is hope (p1); many of our difficult children are just bursting with ideas and energy, waiting to be used productively in society (p15); empathy is accurately communicating children’s experiences so they know that there is someone trying to understand them (p72), plus Mardi’s story of hope woven through the text. All the way through the book parents and teachers are encouraged to be positive with children and to keep in mind that no intervention should be used if it does not lead to greater competence in the child. The focus throughout the book it is helping children become competent in changing their behaviour: never blaming the child. This is particularly stressed when preparing charts for use with these children, such as, ‘The Monster Behaviour is Back’ – not that the child has misbehaved. The focus of both the program and the book is to provide assistance and a sense of hope for parents, teachers and children. A statement often made is, ‘Parents also come with the belief that their child is difficult because of them’. While it is our job to help them reduce self-blame this statement is partly true. Parents often come to this specific program because they are unprepared for the task of parenting children with specific learning, behaviour and social difficulties. They have not learnt the specific skills they need for this type of parenting. Many have participated in other general parenting programs and found that those programs did not address the temperament, learning, behaviour and social difficulties of their child and, as a result, they have lost hope. Chapter One of the book is dedicated to parents feelings. Most parents who read the book or participate in a parenting program really appreciate someone finally acknowledging that parenting this type of child often evokes negative feelings towards their child. Chapter Nine of the book is totally devoted to assisting parents know how to increase their self-esteem and find ways to care for themselves. We hope that this article helps to clarify the issue. We totally accept the possibility that some may still want to take a different philosophical position: clearly we are not all the same. We at the Pastoral Counselling Institute are always open to creative dialogue and critique.